You asked for more coffee and conversation and we answered! Another great coffee morning was enjoyed at De Staat Bar & Keuken. 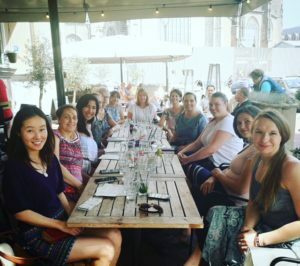 We are always amazed at what a powerful experience it is to meet up with women from various cultures and backgrounds and never run out of things to talk about. Thank you to the women who joined us and so openly shared your experiences and frustrations. We certainly have more similarities than differences and are able to effortlessly spark conversations about dynamic topics. Not to mention laugh about some weird and wonderful things that Dutch life throws at you! We are inspired by your stories, talents, and your courage to start a new life in a new country. Just like shopping, girlfriends are most definitely cheaper than therapy! We are looking forward to the next therapy session…we mean coffee morning.